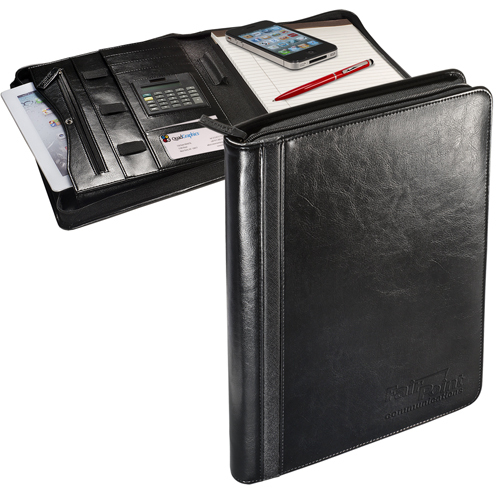 Alpha™ Zip-Around Portfolio with Tablet Case and Calculator Glazed faux leather zippered padfolio with contrasting textured accents. Gift Box / 20 lbs / 10 pcs. / 16.00" x 20.00" x 16.00" box.